At the end of the street on an OVERSIZED CORNER LOT this adorable home waits for new owners. 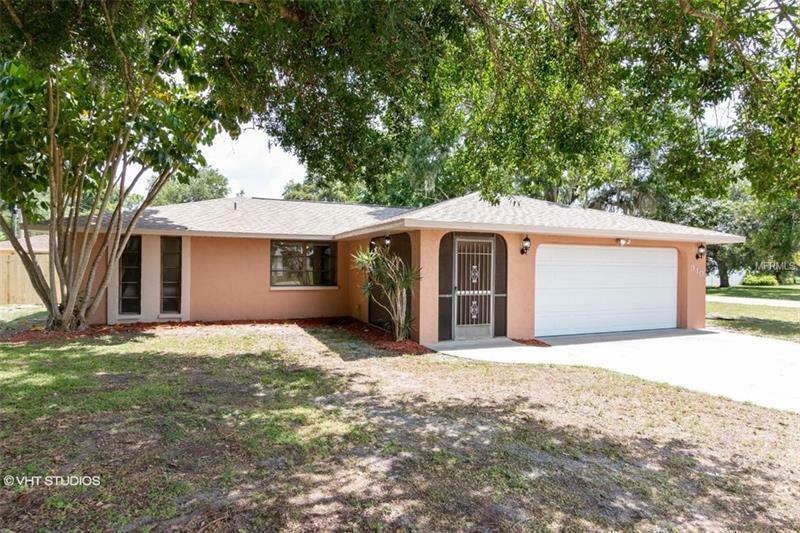 This 2 bed 2 bath POOL HOME has a split floor plan and room to spare. The front entry has a beautiful tile rug and opens to the Living and Dining room. The L shaped Kitchen sits to the right of the living area and has a Breakfast Bar into the Family Room. The LARGE FAMILY ROOM has Lots of natural light and sliding glass doors out to the pool deck. The Master Bedroom has it's own bath, with stand-up tiled shower, and a walk-in closet. The entire Home has been FRESHLY PAINTED inside and out, has a NEW GARAGE DOOR, NEW CARPET in the Bedrooms, and a BRAND NEW ROOF!!!!! The Pool deck is NEWLY FENCED and has a SHED at the back with sliding door access by the pool. Use it for storage or turn it into your own personal Pool Bar! South Venice has a private ferry to the beach, and a private boat ramp. Fee is about $250 per Year for both and is Optional! Shamrock park offers tennis court, playground, Nature trails, and Butterfly garden. Bike the Venetian Waterway to The Legacy Trail, a 10 mile bike path right into Sarasota! NO DEED RESTRICTIONS to live in South Venice so bring your pets, RV, or Camper. This is a Fannie Mae Homepath Home.